With the Holidays approaching I think we're all realizing its crunch time and stocking stuffers are usually the last of my Christmas shopping. Yes, that includes our pets too. We might not have room for their stockings on our fireplace but it doesn't mean they don't have one and aren't receiving fun and necessary goodies too. I actually had to open a few of them early this year just so I could share them with you. I've partnered with Pet Magasin before on a travel backpack for your pet that you can find here. So collaborating with them once again was not something I thought twice about, we love their pet products. I shared a little bit about this leash on my Insta stories the other day that Solo and I were on his daily walk or often twice if possible. These are walks he looks forward to. Personally I have never had a leash besides the nylon ones with the hand loop at the end. This is an upgrade for us. I had been scared to try similar ones at the pet store because they didn't seem safe. The reason I felt better about this one in particular is because the release and lock button is easy to use, the handle has a rubber soft grip and the strap is super soft and I'm not worried it'll hurt Solo if he accidentally happens to get tangled in it. It attaches easily to his body harness, that I prefer to use on instead of his collar. Personally I don't like to see when dogs leashes are attached to their collars and are tugged on, constantly choking them. But that's just me. It even came with a waste bag holder, you can easily attach to your belt loop or pant pocket. Probably not as handy as the ones that attach to the leash like a key chain, you say? but this way its actually easier to get the bag out without struggling with your dog moving around and you struggling to get to the poop bag that would be attached to the leash, ha, see, there is a reason for it to be attached to us instead of them. Today I'm actually hosting a giveaway for this leash, the clip on and a few other dog friendly grooming products that Pet Magasin sent us. We were in need of some of these and I think they're perfect for anyone who loves to groom their pets at home in between grooming appointments or if you do it yourself often enough, these are ones you'll want to have handy. They are easy grip grooming tools and won't hurt your pet either. So make sure you don't miss out on these products and more from Pet Magasin. Now that we've been introduced to more of their products, all I can say, is you have to also try them and tell me how much you love them. I love our dogs, Solo is more the outgoing one though now that he's the baby in the house but Rosa our oldest, also needs special and careful attention so these are great for her too. We want only the safest and best products for them at a fair price. 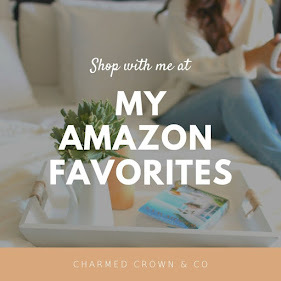 You can shop for these products on Amazon, which I also love by the way, by simply clicking on the links below. So now let's get to the giveaway, shall we. Win all 3 of the sets I mentioned and shown above by simply entering the rafflecopter form below. I haven't tried their products yet, but I'm sure my pup would love them. They're great products, a must try! We've never used these products but they do look very high quality! Definitely high quality for a fair price! I have never used Pet Magasin products before, we have a new puppy and I'm looking for good quality products for him. Annamarie, if you could please email me your home address? You're the Winner of this Giveaway! Congrats! I and several other people have complained about cyclists behaviour and the council line is that its a "shared resource" meaning that cyclist seem to have full rights to abuse dogs and dog owners.